It has been a while since I blogged. I think my type-A, perfectionist over-exuberance at wanting to blog at what I envisioned was “top-level” just burned me out. 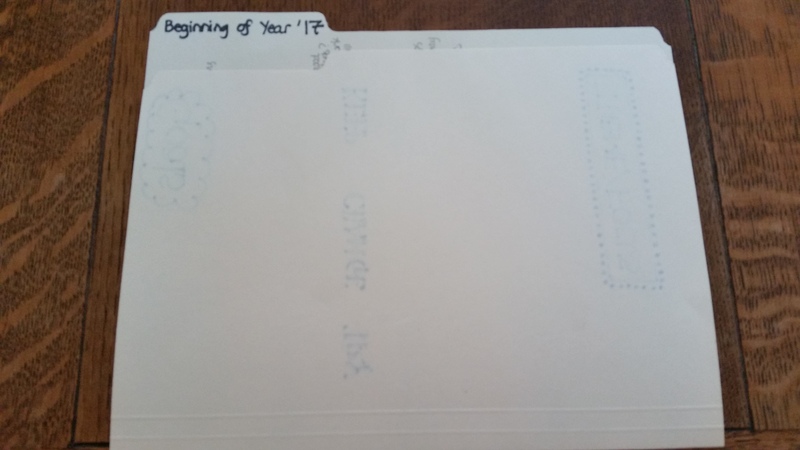 But since getting back to Twitter (and getting in on the flurry of conversations about TMC, #MTBoS, and #PushSend ) I’ve realized that the reflective nature of blogging feeds my teacher soul. Last year I dropped blogging early in the school year because I was doing too much. And writing doesn’t come easy to me so my blogs were taking 1-2 hours to complete – I so admire those who type fast and write succinctly…can you school me?? Everything in my life was suffering and so blogging was the first (but not the last) thing to be purged. Now as I look back at the year this summer I realize the rest of my school year lost its glitter. 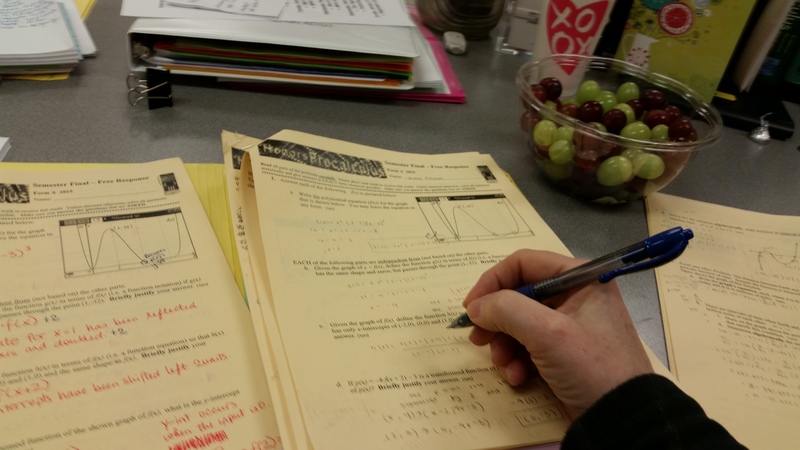 Without the daily reflecting in writing via blogging and taking pictures of my kiddos while they were learning, the excitement fizzled and “Killer Routine” took over. Now don’t get me wrong, I did reflect but it tended to be quick, on the fly and lacked depth; I didn’t have a running commentary to look back on to review my progress, to relive the successes and to reminiscence about the changes that worked. But I also realize I can’t keep up with blogging for each of the 180 days of the school year. So Blog 180 was out for me! As luck would have it, I learned through Twitter that during TMC17, Carl Oliver gave a keynote, Hitting the Darn ‘Send’ Button at TMC (Twitter Math Camp). He said just #PushSend; what you write doesn’t have to be perfect and what you have to say will resonate with someone. Most importantly for me I realized, the act of putting my thoughts to paper is an amazing growth experience. All of this talk about blogging inspired me. So I gave myself permission to blog once a week. In my mind I call it my new initiative: Blog 36+… I’ll blog once a week (but maybe more). The stars aligned because soon after TMC, the #MTBoS got busy, spearheaded by Julie @jreulbach to revive the #MTBoS Sunday Funday challenge . I wouldn’t call it a “challenge” but rather an “invitation to blog” every week on a pre-selected topic; this week’s is Goals. You then submit your blog post using this Google Form. On Sunday, Julie will post the week’s list of amazing blogs to go read! I can’t wait to read all of the goodness my peers have to offer!! But I also realize I need to contribute….so my blogging life begins anew! We don’t start school until August 30th, so my school brain is still on vacation! And I’m not sure I’m ready to have my goals set in “electronic stone” yet. So instead, I’ll share my first steps in creating goals for a new school year. *Wish I could get into my room to take a photo of all of my previous folders!! On the inside left flap I have lots of categories: Goals, Keep-Change-Try, Theme/Focus. These help me think through the big picture for my classroom. Still adding thoughts as I read tweets and the many awesome blog posts shared this week! 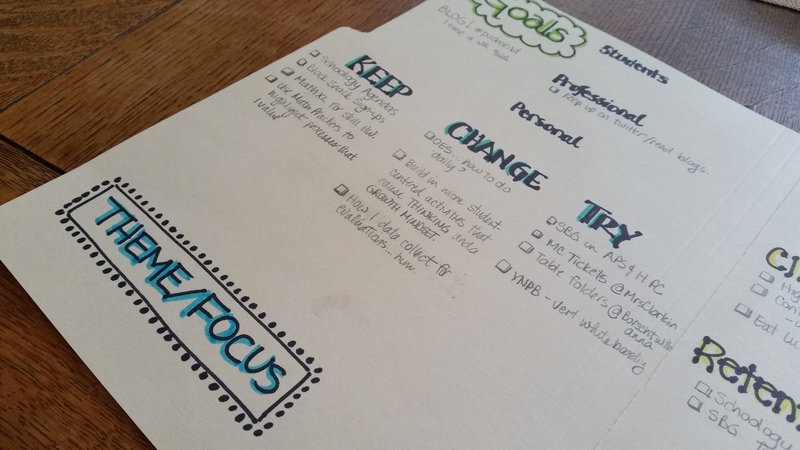 Goals include student, professional and personal goals for the year…these are actually the final culmination of the other things. Keep-Change-Try is just that, a running list of what I want to keep from my past practices, change or revise for the next year, and new things to try because they sound so promising. Theme/Focus is the catch phrase that encapsulates all of the above thinking, especially the goal. Usually a word or phrase that I post in big letters. 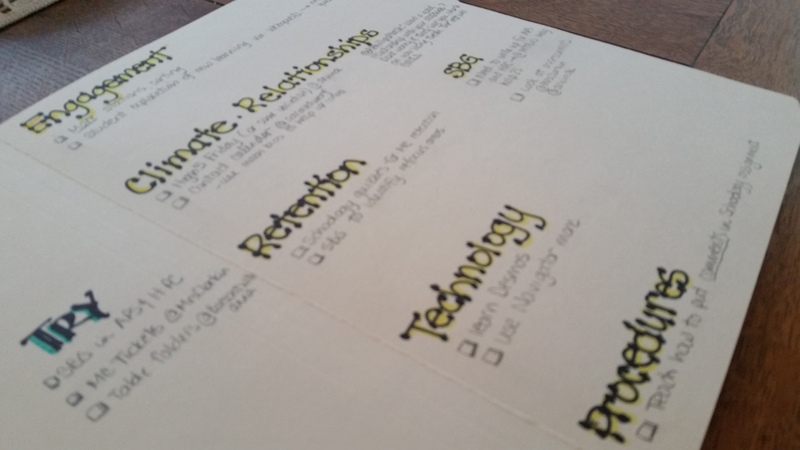 On the inside right flap I have lots of focuses that support the Goals and Theme: Engagement, Climate-Relationships, Retention, SBG, Technology, and Procedures. Engagement helps me think through authentic engagement experiences rather than “fun” activities that don’t move students’ learning forward. Climate-Relationships is a new focus for me this year. Although student evaluations say I do a great job at this, my personal perspective is that I need to work at this better to connect with EVERY student. Retention includes thoughts about how to insure long-term retention. This became a goal for our department last year (which I was so happy about – cartwheels in the aisles) so there was so much more collaboration around retention and how to help students with it. Standards Based Grading (SBG) is also a new addition, although I have been reading and thinking about it for a few years. I’ve found some good resources online, but don’t have any face-to-face colleague to share and reflect with…yay for Twitter. I am getting some help there. Technology has been an ongoing focus since I can remember! It is so fun to see how much technology has evolved over the years as well as how my practice in including it has changed so dramatically. And the use of technology has grown from just a tool to a learning-enhancing opportunity for students if used thoughtfully. Procedures is the last focus this year. I have been at this a long time, but every year some procedures need to change, mostly to keep my sanity and to make my classroom more studentcentric (is that even a word?!). Things that “bug” me in June are procedures crying out to be changed in August. Already today, because of tweeting and reading blogs, my lists are expanding and evolving. So what are your goals and dreams for 2017-2018? Can’t wait to hear about them (and maybe revise mine based on your amazing thoughts) so just #pushsend!! I am sooooo excited. Once again I am heading to a Texas Instruments International Conference this year in Orlando, Flordia. As a TI Regional Instructor, I’ve run enough week-end workshops, attended enough PDs and helped out in other ways to earn a free round-trip air fare and hotel lodging for the 5 days! Since I will be presenting my Precalculus Folder Activity, I get a free registration! Whoot-whoot! I learn so much at these conferences. I think the T3 conferences have such great sessions and opportunities for collaboration with teachers from around the world as well as around the country. Love, love LOVE it! The downside is prepping for a sub for 3 days. In my precalculus classes, not so bad as I will have them complete a Mathematics of Finance packet where they explore Present and Future interest situations. I usually have them do an online exploration of these rates by “shopping” for a home and then determining the going interest rate and their monthly payment. Also have them “invest” in an annuity to see how much they can make over a given time period. Since I won’t be there, I decided it would be too much for a “non-math” sub to handle. The packet still gives them some interesting situations to explore. AP Stats is a different situation! They will have their test on confidence intervals on Wednesday, but then we are starting in on significance tests. So many places to develop misconceptions even when I’m there. So I spent almost 2 days over our mid-winter break just prepping for my absence in stats. I needed to re-write handouts and activities so my neo-statisticians could proceed without me. I also hunted for videos that would accurately explain concepts like p-values and alpha-levels, processes like writing hypotheses, and the general rationale behing a significance test. I think they will be in good virtual hands. Getting ready to begin the journey into next semester starts Monday, so it’s time to organize the next chapter. I have a year plan (that is always in flux) to guide my timing so I don’t rush at the end of a semester. I always build in what I call “buffer” days so that if my kiddos need more time to wrestle with a new concept, I can build it in. Over the years, because of my year plan, I have a sense of the time needed to develop a concept…but its never set in stone because kids and classes are different. The year plan also helps me to think about what worked super well, what worked adequately and what didn’t. To keep things fresh for myself, I will change out some activities based on what I’ve seen on blogs, twitter, conferences, etc. 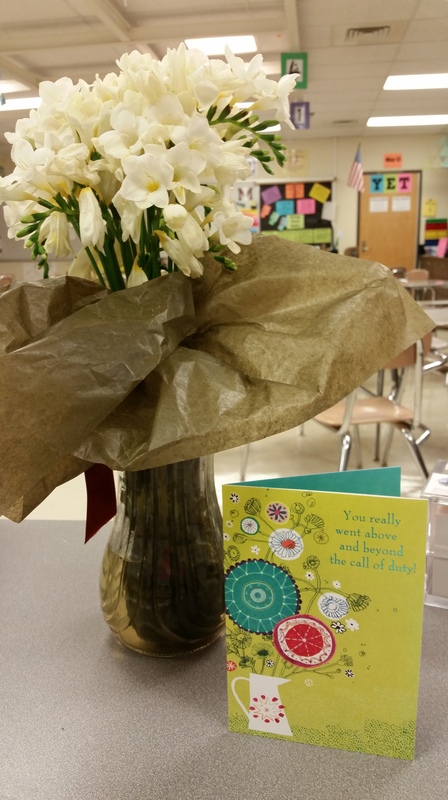 On a side note, one of my students dropped by after school today and brought me some gorgeous freesias and an even better note to thank me for the time I spent with him this past semester. The little joys of teaching!! Yup, I’m a grading machine! Lots of finals to assess, lots of lives to change. Well, not really, but I think my students sometimes think that’s the case. As I grade, I try to keep in mind final “growth” in understanding for each student. Isn’t it tough to pick questions that give a good snapshot (and that is all the questions are, just a snapshot) of a student’s understanding at that moment. So much pressure to make a final assessment that truly reflects each student’s knowledge and understanding at the end of the semester. 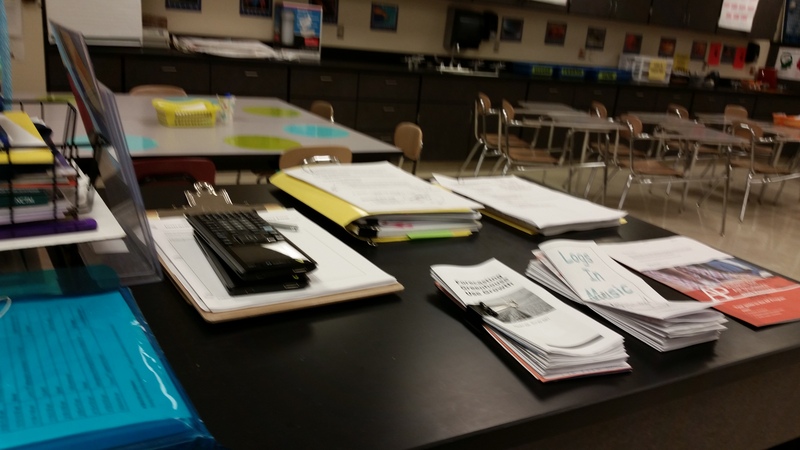 One of the most important areas for me in the classroom is my teaching station. Although I am not there for any length of time, it is important to have everything in its place and “staged” so that I can “do my thang” during class without trying to find things last minute. I use colored folders to organize for each class. These folders have a clear front pocket in which I place the seating chart; then I can use a dry erase to quickly take attendance. Inside the folders, I keep make-up quizzes with my students’ names on them, copies of notes and any other pertinent info for that particular class. On the first shelf, I have my remote control and TI Nspire handy along with storing the attendance folders. On the larger shelf, I keep a bin of extra pencils and stacks of papers that I might use that day. This is also where my classroom speakers and TI-Navigator access point reside. There is also a mini shelf that holds paper when I use the doc camera and a second mini shelf that holds the docking station for my computer. I also have a roller wire basket shelf where I keep essentials like tape, postits, etc., a bin of red and green pens for Frappys, scratch paper, and a bin of paint pens for students to mark their personal Nspires. On top of the wire basket shelf I placed an extra wood panel so I can place the document camera and a bin of needed writing tools: colored pens, highlighters and pencils along with scissors There are paper clips and styluses too. Next to it I have a bin of plastic mini-white boards with dry erase markers when I need them on the spur of the moment. Although it is hard to see, I have zip-tied an outlet strip to the side of the cart so I can readily plug in electronic devices that I might need. Behind the cart I have a bookshelf I found at a garage sale (did I say how much I love to garage sale in the summer to outfit my classroom?!). It holds extra copies of the textbooks, make-up test forms, my Barron’s AP Stats MC flash cards, VCR/DVD player, hand sanitizer and jar of “Brain Breaks.” The purple shelf next to it holds electronic gadgets and cords, band-aids, etc. along with my DVDs for AP Stats. As the year progresses, other things get added as needed. This organizational method helps me stay sane and not waste time during the class period. 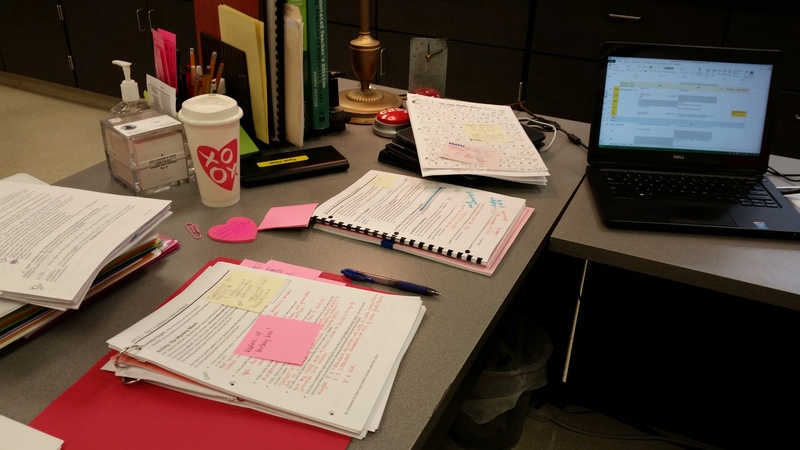 What do you do to keep yourself organized for class? I feel like one of the kids. I so love this season and I am ready for a well-deserved break! Its important to take break away from our busy schedules to spend genuine time with family and friends, to remember why we do what we do and to bask in the care and love of dear ones. Handing out a candy cane to remind them that I care about them and I’m here to help them succeed. Speaking of that, one of my students gave me the sweetest note yesterday tied to a candy cane, which I promptly laminated in a photo id pocket and will hang on my tree at home. It is hand-drawn and painted. What topics did you really not master at all? Could you relearn or deepen your understanding in some way? What are the leveraging ideas that you don’t have mastered yet? What could you do about it? Internet videos, practice problems, etc. might help. Would committing 30 minutes a day to review (16 days x 0.5 = 8 hours of review) make a difference? Could you use some of the time to begin the semester review in a non-rushed way? Would a study group help? What topics from the semester do you need some refreshing? Did you have a particularly rough unit? Which old concepts and processes from earlier in the year might need reviewing? What planning or prep could you do during break? Is there anything you could complete during the 16 days off? Happy Holidays! and Happy New Year! I have always handed back my quizzes and some tests because I think it is important for students to take the time to review mistakes, ask questions and seek better understanding through mistake analysis. At my school, the math department has been required by the school board to return all assessments although most other departments are not. We have asked if we can keep the assessments and make them available to students in our classroom at any time; the answer was NO. This past year, we did finally convinced our school board that we can’t hand back our Finals because of the time component in creating them and this was agreed upon. Subsequently, over the years, students have created Facebook accounts for the various math courses we offer at the high school and then the returned assessments are scanned and posted for all to see. The purpose of this site is to help students get good grades by having access to the rich questions asked on our assessments, go over them with their tutors (who also have the exams on file) so that they have practiced the response over and over again. Thus, for many students, the assessment doesn’t assess the ability to bring to bear their conceptual understanding and procedural fluency in new and unfamiliar situations. The goals of this question are for students to read and use the scale, evaluate y = sec x for various inputs, apply old knowledge in a new way (write an equation of a line with non-integer values), and be comfortable with unusual forms of answers. If students see this question prior to the test, then it becomes a routine problem. The student response does not inform me about how well they are making sense of the structures inherent in a problem, applying some basic skills of evaluating trig expressions, finding slope, and writing the equation in a most efficient form, namely, point-slope form. Our calculus teachers say that students can use the calculus to generate information, but when it comes to writing an equation of a line (good ‘ol Alg 1 skill) they freeze up, mostly because the numbers aren’t integers or decimals. We also emphasize why point-slope is a more efficient form than slope-intercept when working with radicals, radians, etc. because one doesn’t have to calculate the y-intercept with “ugly” numbers. With this community practice, it makes it challenging to create new and authentic assessments that actually test student knowledge and not their ability to mimic assessments they have seen. Yes, I know students could pass around old assessments if they kept them, but the effort and diligence to do this was large, and the follow-through for most students was very small. Now with the electronic posting option, little effort or forethought by the student is needed to preview every single previously-given assessment. I spent some time looking for a question about Combining Random Variables and finalizing this year’s exams. How much time do you spend writing assessments? Are you required to return assessments and if so, what is the impact on your assessment preparations and practice? Would love to hear some time saving ways to create authentic and powerful assessment questions. It is time to change seats! Usually I have students select a random card and then match with the 3 other people that share the same number. But I wanted to do the ferris_wheel_card_match as well, and we weren’t going to have time for both. So I cut out the cards, made sure I had two forms of the equation so that I’d have 4 cards that match in this way: verbal description, graph, 2 equations. My students had to find their table partners by matching their cards. Once again, good conversations and questions. Once they had their new table group, they had to write their names on the seating chart in the correct group. Worked nicely and we got to do a little bit of the card sort. How might you use a learning activity to complete a organizational task? Use randint( on my TI Nspire to select a random number associated with a student. Sometimes I have that student hit the button to select the next participant. Drop a coin on the seating chart. I saw a new teacher to our building use cards on a ring with the student’s photo on one side; the cards are color-coded for each class. Then I grab the ring from my front board, and randomly flip to a card and that student is selected. 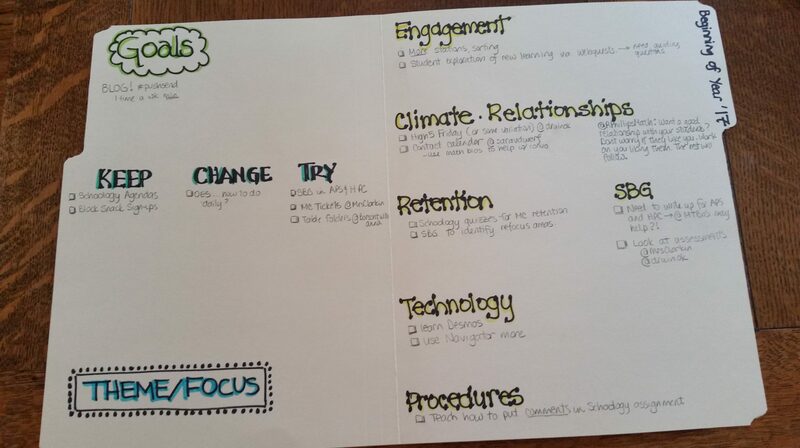 I also had students write down activities they are involved in at school on the back. I also could have them share other interesting things about themselves to get to know them better. The cards are hung in a convenient and accessible spot at the front of the room. Just another tool in my toolbox. What are some “tried and true” strategies you have used to encourage students to participate? Who would have thought you’d need a day to train to be evaluated? When I first started teaching the process was very simple and was in the realm of the administration. They would set up a pre-observation date, an observation date and a post-observation date. 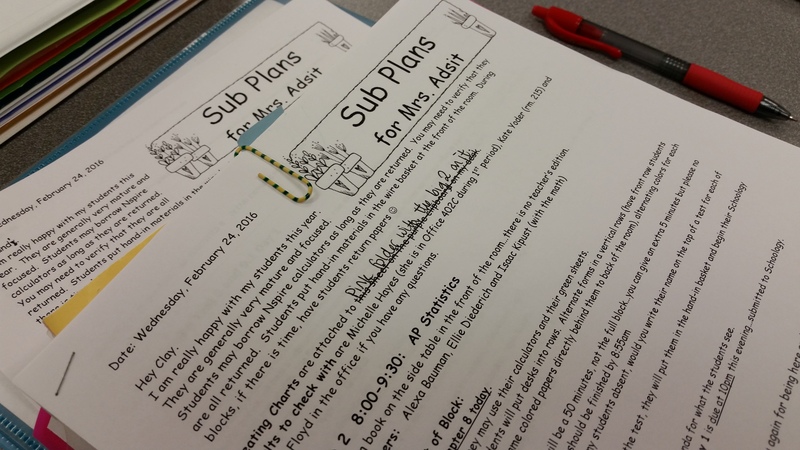 The teacher would create a detailed lesson plan, submit it prior to the first meeting date and then discuss it with the evaluating administrator. The administrator then observes the lesson, taking notes, etc. and then discusses the observation with the teacher in the post-observation meeting. In 2015, the process is almost spirit-crushing. As I mentioned earlier, I created a binder for the comprehensive evaluation process in order to collect needed evidence to demonstrate my teaching ability at the Proficient or Distinguished levels (I don’t see myself at the Basic level at this point in my career). Today we have a day long training on the Danielson Framework for Teaching, our model for evaluation. I really want the evaluation process to be meaningful for me rather than a bunch of hoops to jump. Right now, I don’t feel it is helping me be a reflective teacher, but rather a frantic gather of items that don’t help me teach better. I had hoped today’s training would help me figure out what types of evidence I could use for each component, how variations in evidence can move me from Basic to Proficient to Distinguished, and most especially, how to develop measurement tools for collecting data/evidence for Student Growth. I want to know that the activities and experiences I use with my students actually make a difference. I am not a Research Scientist and I don’t have the time to do Action Research, yet how can I measure the impact of these experiences without adding more time to my already jam-packed day? Unfortunately, I didn’t get answers to these questions this time, but I am ever hopeful that the next training will help me with these things. How is your evaluation process going this year? What have you done to help make the process smooth for yourself? How have you made the process meaningful?